MAX buses provide a safe alternative to driving yourself in snowy weather. 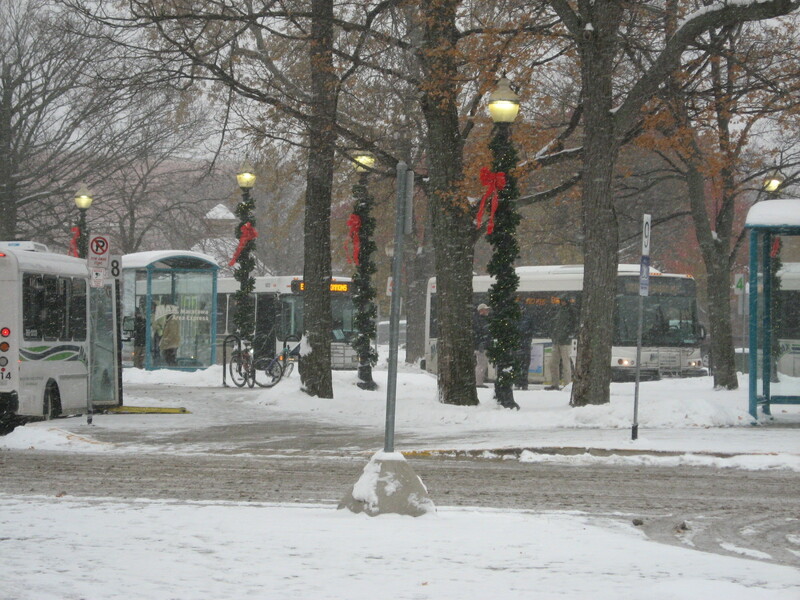 Even in the snowy, winter months of West Michigan, the Max Transit system seeks to keep its service accessible to all passengers on 11 fixed bus routes, along with demand-response service, throughout the greater Holland/Zeeland area. When there is inclement weather, we tell our drivers the same thing you tell a new driver: Drive safe and don’t be afraid to take your time. We want to make sure that passengers, bus drivers and neighboring vehicles are all safe. And for passengers we suggest: Have patience and bundle up while waiting at the stops. If a stop is in a snow bank, do not stand on the snow bank or the road; to reduce risk of injury, wait at the next clear driveway. The MAX office at 171 Lincoln Ave. Suite 20 in Holland has keychain flash lights to offer to passengers during this time. will change that route to its snow route. 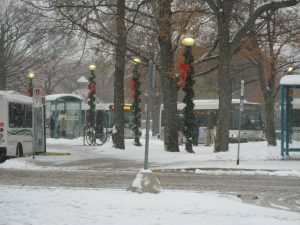 You can review snow routes in the master bus schedule, located on MAX buses, at the MAX office, and in some local businesses, or online at www.catchamax.org. Riders can also sign up for text alerts online or by texting “maxtransit” to 353535, to receive updates to see when a route is going into snow route. Ridership at transit agencies can be affected by many factors, although the weather doesn’t tend to have a big impact. According to humantransit.org, economic growth can impact ridership as well as gas prices as people have more funds for cars and driving. With the economy growing and oil prices declining, many transit agencies saw a decrease in ridership starting back in 2016. MAX saw a decrease in fixed route ridership from 28,203 passengers in December 2016 to 24,268 passengers in December 2017. In early 2018, ridership started slow, but increased even through the winter months. Bus in SnowWhether it be rain, sleet or snow, you can be certain the MAX will take you there!  Shelby Pedersen grew up in Holland. She and her sister would ride the MAX bus all over Holland. Two years ago, Shelby joined MAX Transit as an information specialist. She is now marketing and customer service managers assistant.